Though individual customer preferences matter a lot, there are many other features that you should consider when buying a cooler. These are the same things we looked at while creating this top-ten list. But there is what you need to know about coolers before you can buy one. This masterpiece is able to keep ice as it is for 5 days, even when temperatures are at 90 degrees Fahrenheit. Such unparalleled performance is made possible by Coleman’s Xtreme technology. The extra insulation on the lid and walls allow ice to be retained unchanged for longer. Your capacity needs have been catered for on this one, as it can comfortably accommodate up to 160 cans. 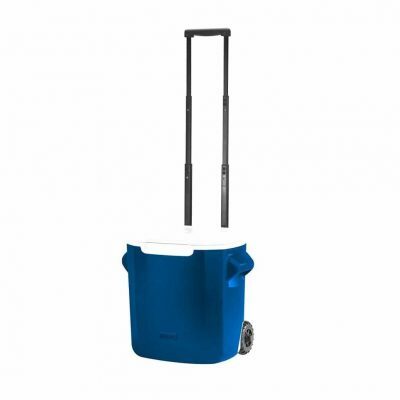 Unlike other coolers of its size, the 100 Quart Xtreme 5 Wheeled Cooler from Coleman is fitted with powerful wheels for fast and convenient movement. As its name goes, the Coleman personal wheeler was made for personal camping or hiking. Even so, some of the customers say it is a good family cooler and we agree. This one fits 22 cans and can also accommodate 2 liter bottles in standing position. The recessed wheels on this item makes movement very easy even when fully loaded. With this cooler, your food and beverages will stay cold for 2 days or more. A telescoping handle ensures that you roll up without much energy. It’s an amazing cooler to serve you and your family while on a trip. If you thought all small coolers are bad choices, try the Coleman FlipLid. It is just the ideal personal cooler for a perfect picnic. You can even use it to compliment a larger cooler and match the current trend among campers. The interior dimensions on this cooler are 8.75″ by 6.25″ by 5.5″. 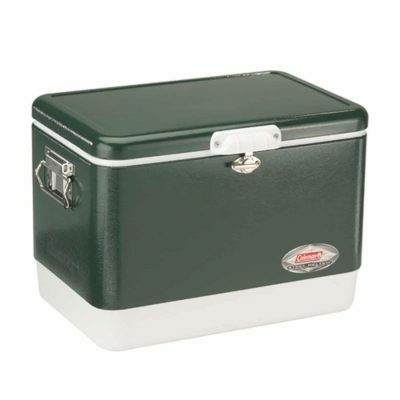 Customers have used this cooler as an ice bucket and even as a bait box during fishing excursions. The nice handle makes it easy to carry the cooler with you wherever you go. It is a must have even if you own one of its bigger brothers. This new entry is already getting purchase frenzy from all over. Of all backpack coolers, we found the Coleman C003 the perfect choice. The amazing price tag is by itself enough to close a deal. 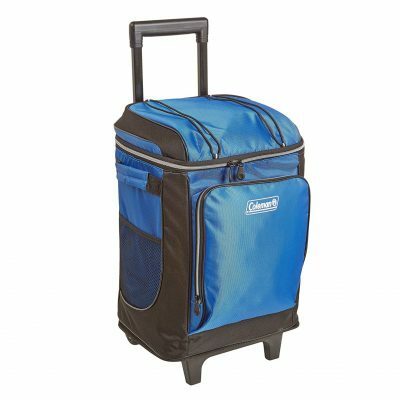 Cool features on this cooler include product protection, antimicrobial agent, adjustable waist and shoulder straps, padded back, large front pocket and a soft liner that’s easy to clean. This cooler’s resistance to mildew, mold and odor makes it the ideal choice for camping as well as random picnics. We cannot forget to mention that it has a large capacity to fit up to 28 cans. Its main compartment is heat welded, and can be used with ice. This 48 quart capacity performance cooler is large enough to fit a number of 2 liter bottles placed on top of each other or up to 63 cans. It is a heavy duty master that you can use for the whole family. Its compact design is complemented by rust and leak proof drain. It is ideal for lazy afternoons on the beach and you can even carry it as you go hunting and fishing as well. This amazing cooler is a bestseller and an all-time favorite among campers. The two way handles make it easy to carry despite its size. It also comes with a friendly price tag. A light weight made of the highest quality plastic, able to withstand all environments while keeping your stuff as cold as you need. The manufacturers used special ThermOZONE insulation technology to keep out HFCs and CFCs. This jug is designed to last you years, thanks to the odor and stain resistant materials used to make the liner. 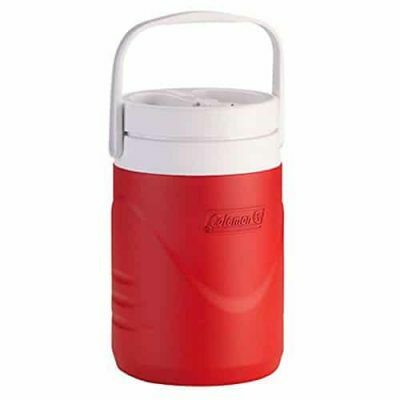 This camping cooler is able to hold one gallon of fluid and it has a flip top spout for both easy and quick drinking. Weighing at just 2.2 lbs., the Coleman 1 Gallon Jug is easily portable even when full of beverage. 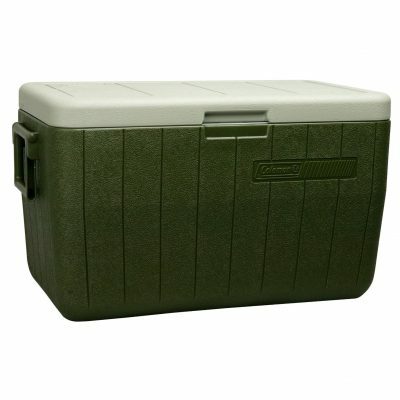 This cooler is large and suitable for fishing expeditions. Its capacity is 120 quarts and can easily hold eight cases of soda. The stainless steel casing is fortified with UV protection to make it last longer. 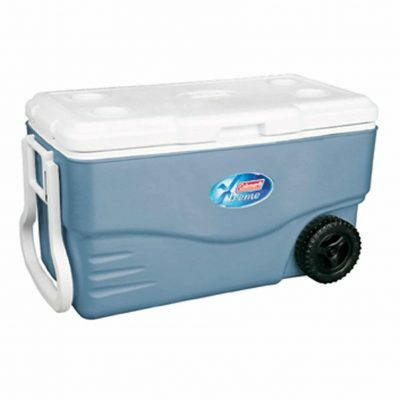 Thanks to the trademark Xtreme 5 technology, this cooler stays cold for up to 5 days. You don’t have to worry about odor causing bacteria because the Coleman coastal cooler has an active antimicrobial agent to take care of that. It has two side handles and comes with a cutting board and a tray for easy food preparation. The Coleman Coastal Xtreme Series Marine Portable Cooler is also leak resistant to ensure that fluid is not let out even when tilted. The Coleman 42-Can Wheeled Soft Cooler is so cool, you can wheel it around and no one will even know it’s a cooler. 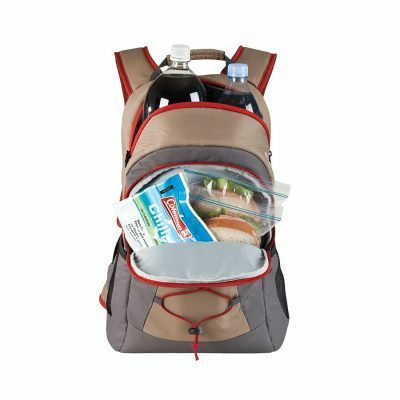 Holding up to 42 cans, it is very spacious and able to fit most of what you need during a trip. It also has a removable sturdy plastic liner, side and top mesh pockets, a front zippered pocket and also lid bungees for extra storage space. You can easily clean it due to its flexible and soft PEVA liner. 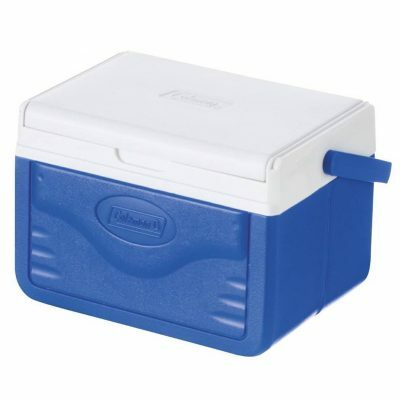 The cooler also has side handles for easy carrying. If you don’t want to use the side handles, the telescoping handle will do just fine. If you want to pull it along, the long lasting wheels will make it very easy for you. 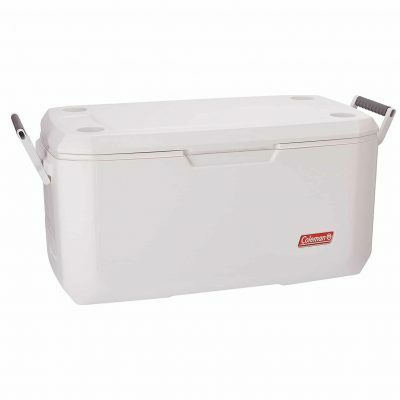 The Coleman 54 quart steel belted cooler is very spacious and able to accommodate up to 85 cans. It guarantees to keep ice for up to 4 days. Its medium size makes it ideal for camping. The side handles on this cooler adds to its portability. Rust resistant stainless steel has been used to fabricate this superior class cooler to guarantee long life. Even the handles are made of steel, so there is virtually no part of this cooler that isn’t protected. Coleman built this cooler to really last you a lifetime. Finally, the crown goes to the Coleman 9-Can Soft Cooler. With record sales already attained, this beauty is still on demand. When going for a picnic or just out camping, you need to ensure you don’t overload. The Coleman 9-Can Soft Cooler comes as simple as it looks. It fits 30 cans and can be used as cold storage by feeding it with ice or other substitutes. The shoulder straps are made to feel soft as you carry it, and you can adjust the length to suit your preferences. The permanent PEVA liner is soft and easy to clean, which means that a user doesn’t have to worry much about maintenance. Added storage options are found on the two side mesh pockets and other zippered pockets on the inside. It also has an antimicrobial additive to keep away all odor causing bacteria. This is a must have for all campers and picnic goers. When looking for the best cooler, you should have the following in mind. It should be portable, durable, of the right size, easy to carry, and able to insulate perfectly. Don’t just go for a good looking cooler because you think it is pocket friendly. Check whether the capacity is right for you. In addition to finding one that will fit nicely in your vehicle, tent, or boat, you also need to get a cooler that will fit everything you want to carry during a picnic. The material should be durable enough and safe too. Most coolers are either made of metal, plastic, rubber, or fabric. The best models are often those made of plastic or the ones that are metal belted. Because you might sometimes need to use your hands to carry the cooler, get one that offers an easy carrying method. The common models you’ll come across have handles, while others have shoulder straps. If you are looking for large coolers, the wheeled ones are a good choice, as you can pull them along with great ease. Here, the choice entirely lies with you. The most important feature of a cooler is its insulation capability. 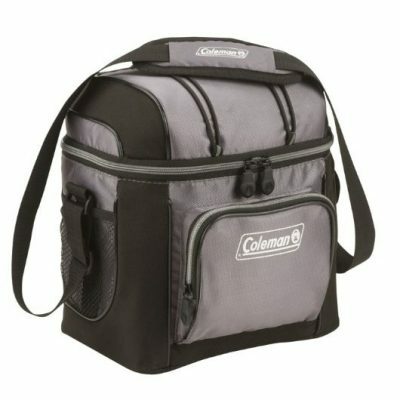 Coleman coolers are one of the best in the market when it comes to keeping your stuff cold for longer. They also last long than other brands, and are loved by customers because they never lose their cool even after years of use. Coolers are a must have for every household. It actually doesn’t even matter if you’re the kind that love going for outdoor activities during the weekend. Coleman coolers are not just leisure items; they are necessities. The build up to our number one cooler has been inspired by amazing features and massive sale on these masterpieces. The price is great and the quality just awesome. With Coleman, you don’t even need to think twice. Get one today, and be sure to leave an honest review. We are double sure it will be a positive one.